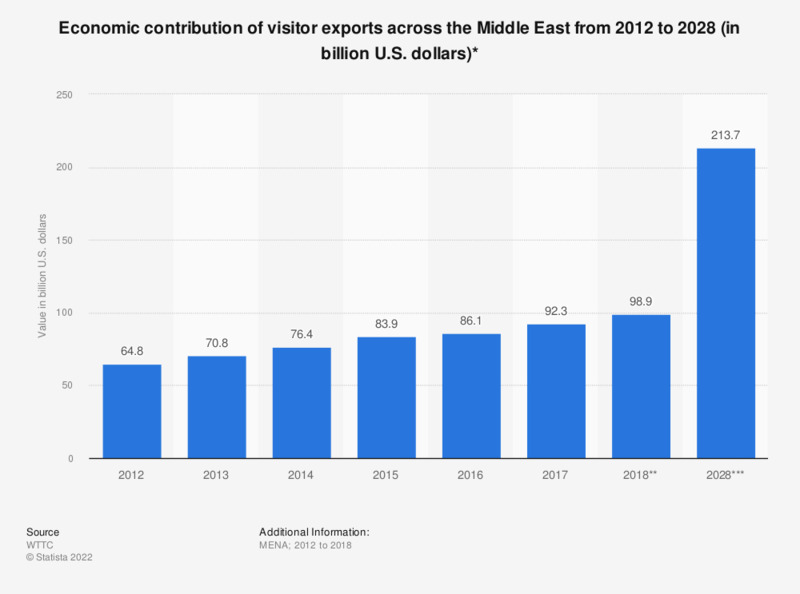 This statistic describes the economic contribution of visitor exports across the Middle East from 2012 to 2017, with an estimate for 2018 and a forecast for 2028. According to forecasts, the contribution of visitor exports to the gross domestic product of Middle Eastern countries will amount to around 213.7 billion U.S. dollars by 2028. * Note: Figures represent the nominal price. Statistics on "Travel and Tourism in Canada"